What It’s About: Much like Animal House two years prior, this comedy film distills the wacky genius of its time, with tacky rich people pitted against tacky outsiders while the real story creeps on out of sight: an explosives-enthusiast groundskeeper facing his nemesis, the not-even-animatronic gopher. Ramis (better known from Ghostbusters; this was his directorial debut) and Murray must really have liked rodents, since they went on to team up as director and star in Groundhog Day. This film has become such a comedy classic that I’m not sure I even need to tell you what it’s about; the demographic that would enjoy it but hasn’t seen it is probably confined to A. hipsters/recent emigrants from deprived former Soviet states who happen to still be wearing sport coats similar to Rodney Dangerfield’s and B. some of my future grandchildren, trying to understand what America was like when grandma was a toddler. Why Watch it Today? : The PGA Tour Championship begins today, but given that it’s baseball season, football season, college football season, and less than two months until college basketball season — oh, and given that Tiger Woods is accomplishing very little this year — you probably aren’t watching the PGA tour. So, celebrate golf the way it was meant to be celebrated: loud clothing and a party in the clubhouse. Look out for Chevy Chase “being the ball,” and Bill Murray’s relationship with the gopher, which packs a lot more interest and chemistry than his pairing with Scarlett Johansson in Lost in Translation. 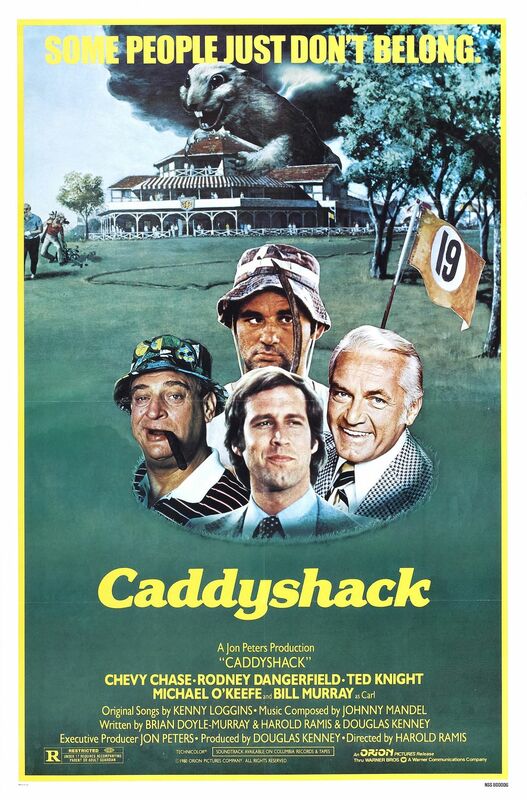 This entry was posted in Comedy, Coming of Age, Fish-Out-of-Water, Movie of the Day, Slapstick, Sports, Stop Motion Animation, The Original and tagged Bill Murray, Chevy Chase, Comedy, country club, explosions, golf, gopher, Harold Ramis, loud trousers, meditation, PGA, Rodney Dangerfield.